Christmas is coming.. the perfect chance for a daily dose of crafting with your children. Here are some ideas for Christmas crafts. If you have an amazing button collection this craft is for you.. however you can buy a little button set for £1 at Tiger. We did find it quite a fiddly task, however there were lots of opportunities for learning – talking about the size of the buttons, the colours and why we have a star at the the top of the Christmas tree. A good way to practice those fine manipulative skills even if it is just to help pull the thread now and again. You will need paper plates, green paint, pva glue, scissors, lots of jewels, pom poms, glitter pens, etc. Basically whatever your children would like to decorate their tree with. 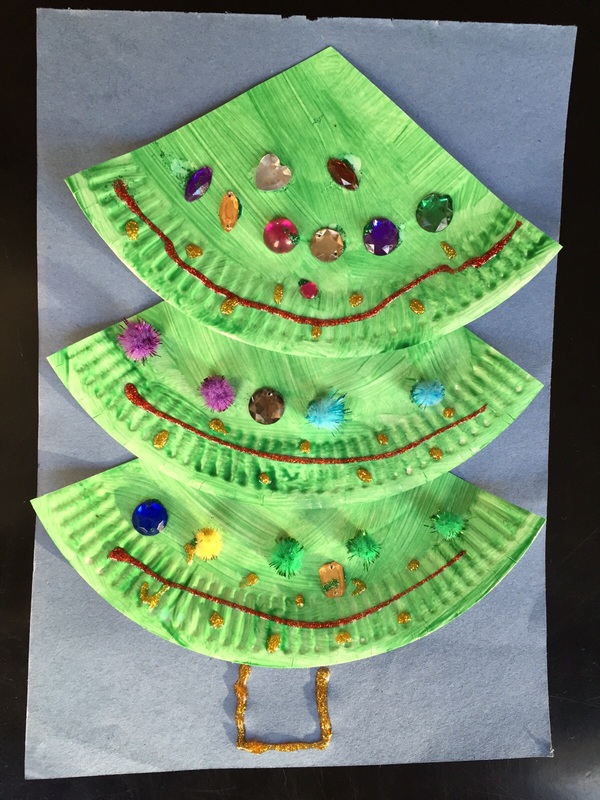 Let the children paint the paper plates green. You can do this at an earlier stage if you are rushed for time. Then cut the paper plates into thirds (handy hint! Draw a peace sign on the back of them to get your thirds). Then let the children get sticking with the jewels, glitter etc. Letting them decorate their trees. Et voilà. You may have seen our 5 minute play dough recipe, if not you can find it here. 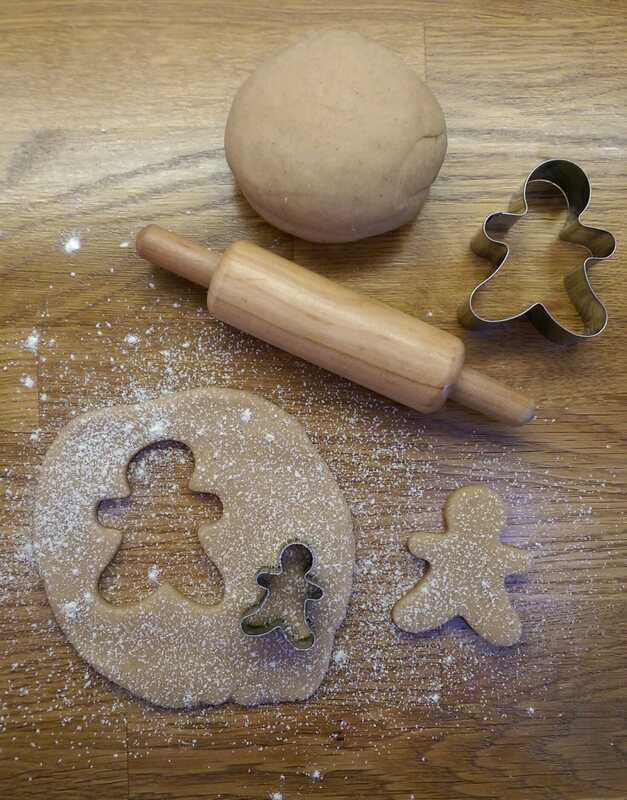 Add some ginger and cinnamon to the dough to get a lovely Christmas scented sensory experience. Once again you start with a paper plate. In addition you will need: lollipop sticks, pipecleaners, glue, selotape, googly eyes, paper, pom poms, black pen and brown paint – a good opportunity to talk about mixing colours if you don’t have brown. We found mixing orange with as small amount of blue made a good brown. 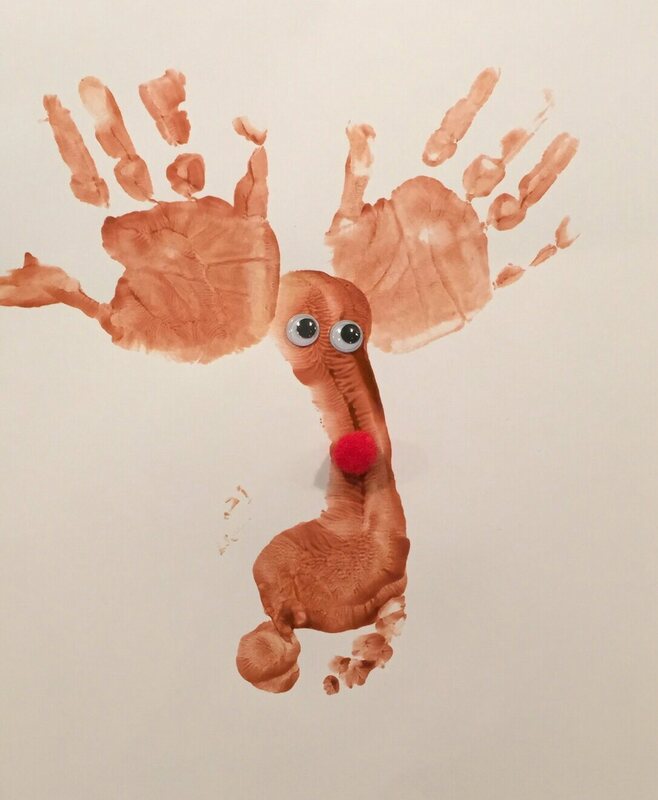 Another Rudolph activity is this simple footprint and handprint design. You will need paper/card and brown paint plus some little feet and hands to paint. Word of warning – this may tickle, be prepared for giggles. 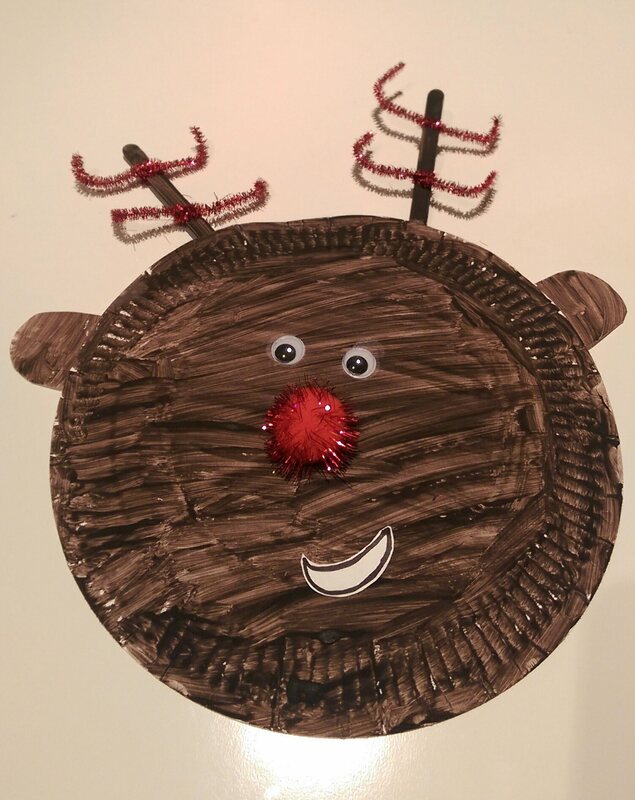 Once again embellish your design with googly eyes and a pom pom, for Rudolph’s red nose. A great idea for any Christmas cards you need to make before the big day. 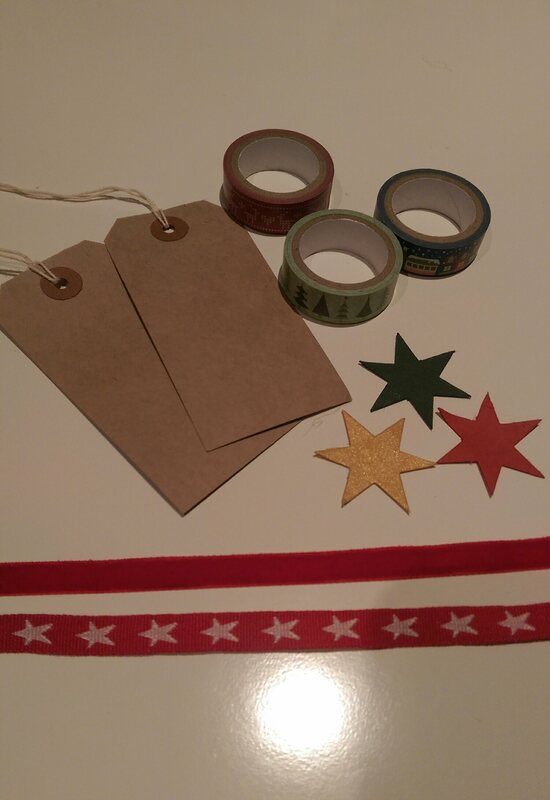 Let children design their own gift tags – using any Christmassy bits you may have – ribbons, stickers embellishments etc. The most important bit is that the children are having fun. We’d love to hear what you’re making with your children. There’s so many ideas out there. Why not post them to our Facebook page.